Please use our enquiry form below to book the choir. The choir is NOT available for Monday to Friday daytime bookings. We will consider bank holiday requests. 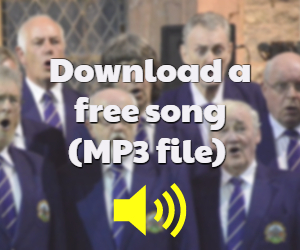 The choir’s repertoire will help you decide on your special requests. We receive many requests to sing at weddings both near and far, and so early booking is advisable. Read about reasons why you should book a choir for your wedding. We receive many letters of thanks following our wedding performances. View some testimonials here. If you have any difficulty with the form, or would just rather speak to a person, please phone the choir secretary on 01824 703832.